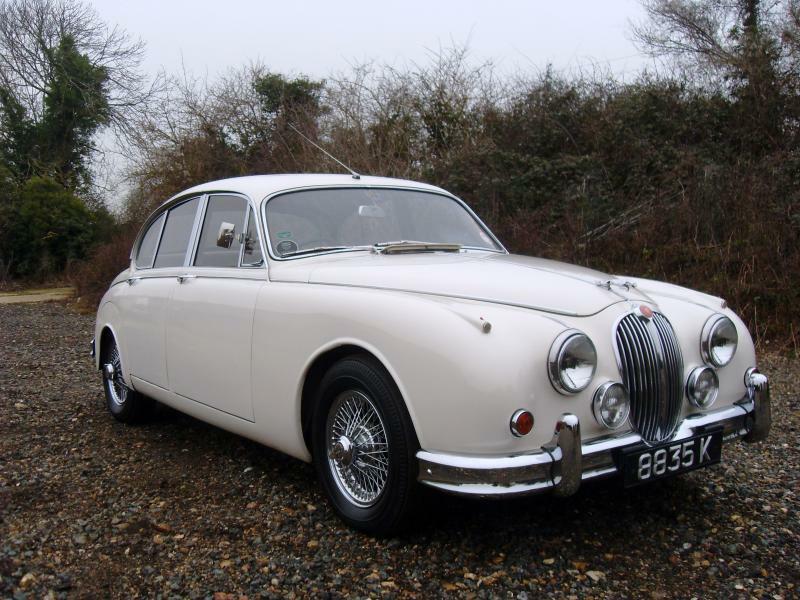 The Jaguar Mark 2 is a medium sized saloon car built from 1959 to 1967 by the Jaguar company in Coventry, England, as successors to the Jaguar 2.4 and 3.4 models, manufactured between 1957 and 1959. 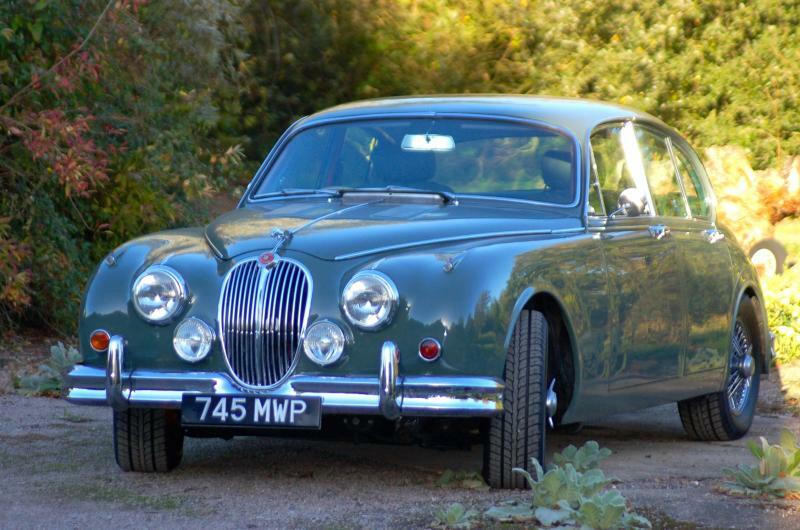 These retrospectively became known as the Jaguar Mark 1 following the release of the Mark 2 in 1959. 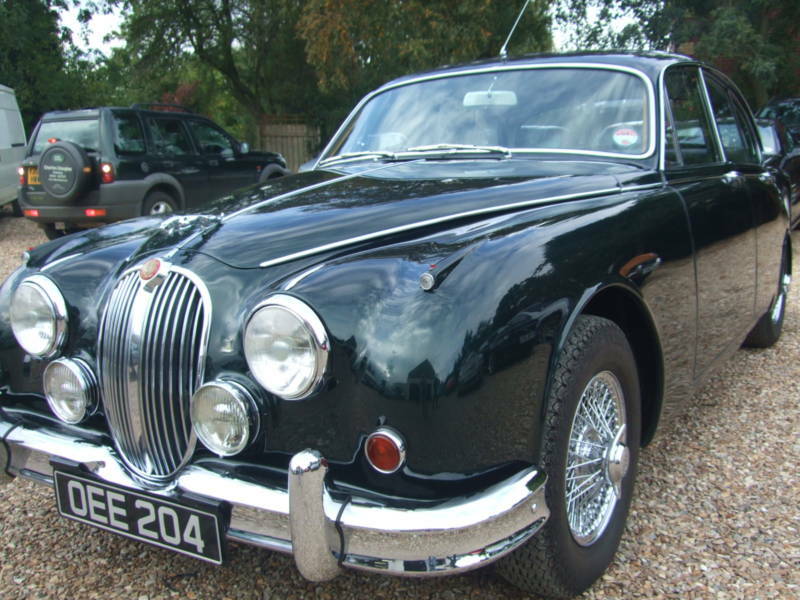 Adhering to Sir William Lyons' maxim of "grace, pace and space", the Mark 2 was a beautiful, fast and capable saloon. 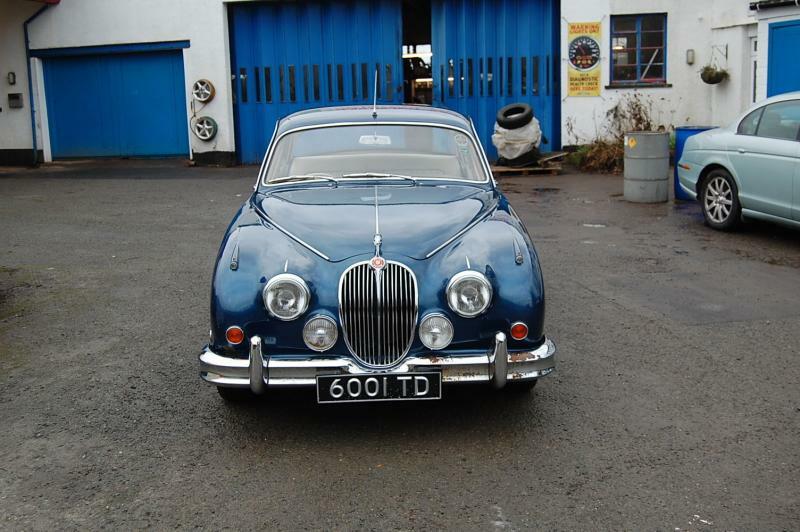 It came with a 120 bhp 2.4 L, 210 bhp 3.4 L or 220 bhp 3.8 L Jaguar XK6 engine. 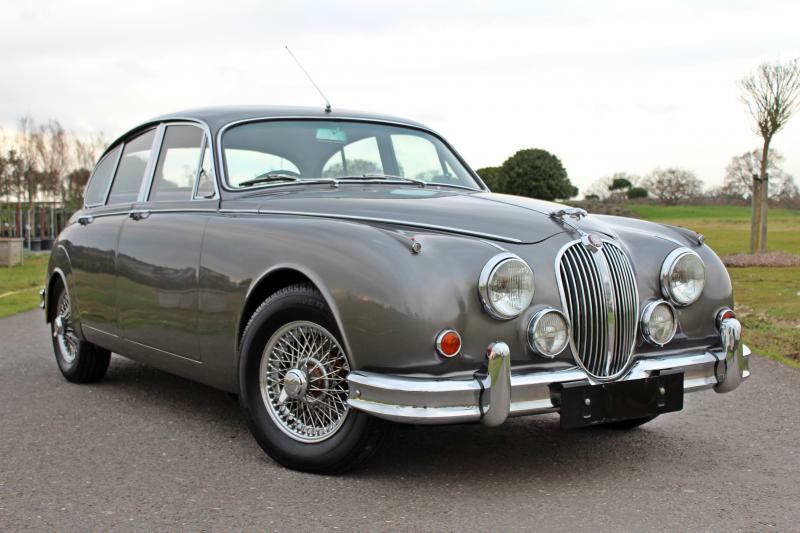 The 3.8 is similar to the unit used in the 3.8 E-Type (XKE), having the same block, crank, connecting rods and pistons but different inlet manifold and carburation (two SUs versus three on the E-Type in Europe) and therefore 30 bhp less. 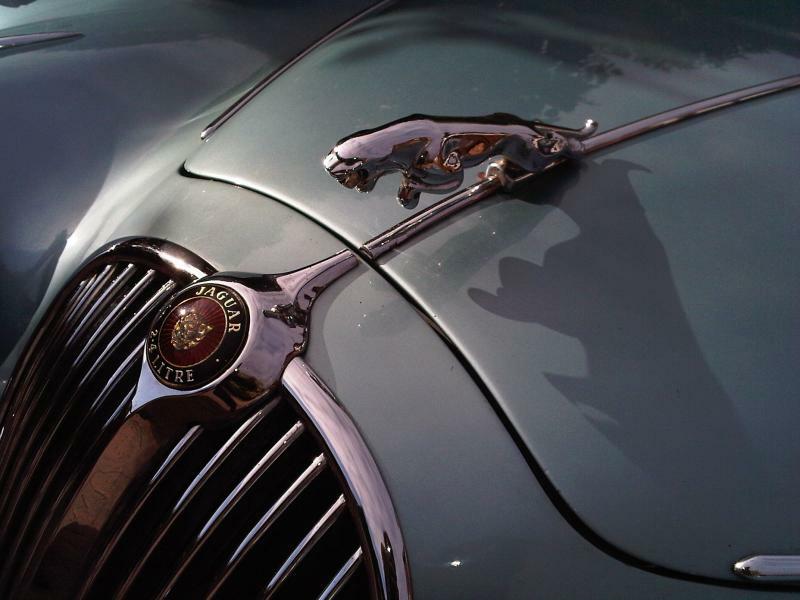 The head of the six cylinder engine in the Mark 2 had curved ports compared to the straight ports of the E-Type configuration. For markets other than the US the 3.4 was fitted with twin SU carburettors and the 2.4 with twin Solexes, but three Solexes were used in US spec 3.4s and 3.8s in order to meet SMOG emissions legislation. This reduced power output over the equivalent SU carburetted examples. The Daimler 2.5 litre engine was fitted to the Daimler 250 derivative of the Mark 2 (In European markets known as the Daimler 2.5-V8 then Daimler V8-250), having first been used in the Daimler SP250 (the SP250 was originally known as the Daimler Dart but "Dart" was a trademark of Dodge and had to be dropped by Daimler under threat of legal action.) 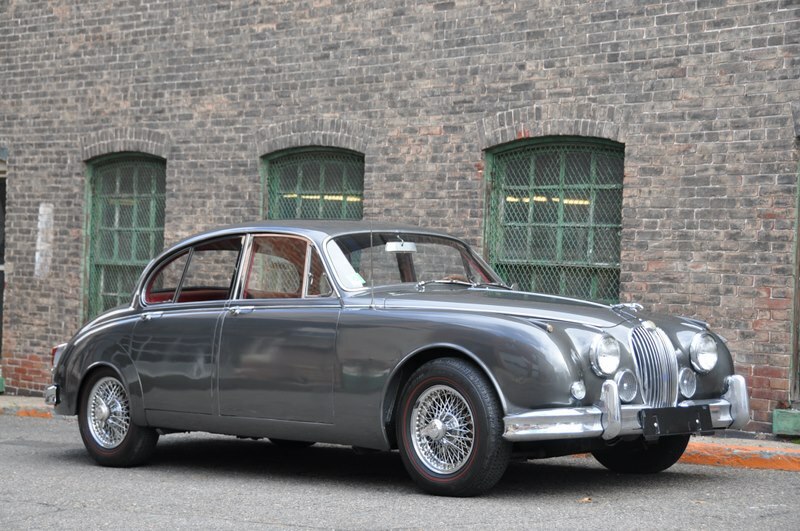 The aluminium alloy Daimler engine was lighter than the cast iron block Jaguar sixes, reducing the mass over the front wheels therefore reducing understeer compared to the XK-powered versions under hard cornering. 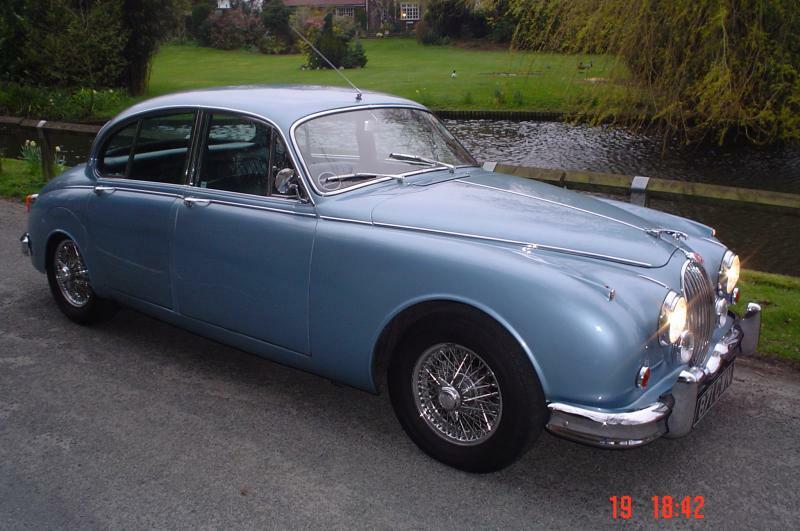 The Mark 2 was discontinued in September 1967 and replaced by the 240 and 340, so named to distinguish them from the old 2.4 and 3.4 which, as noted above, became known as the Mark 1 following the introductuion of the Mark 2 in 1959. 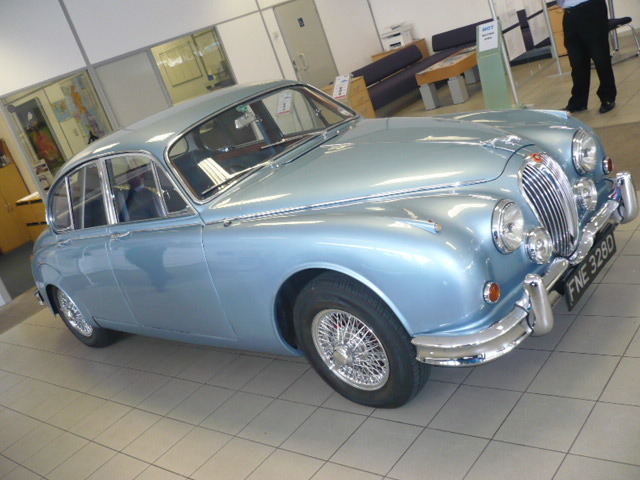 The Jaguar 240 and 340 were interim models to fill the gap until the introduction of the XJ6 in September 1968. 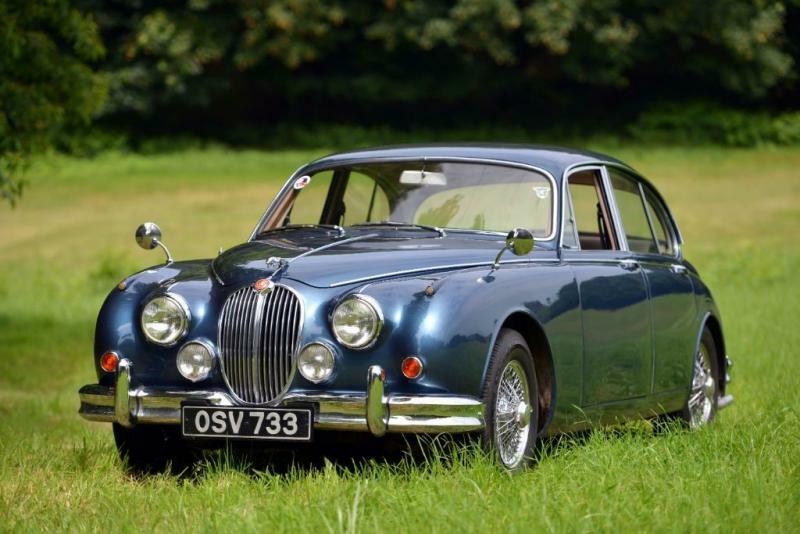 The 340 was discontinued immediately but the 240 continued as a budget priced model until April 1969; its price of £1364 was only £20 more than the first 2.4 in 1956. 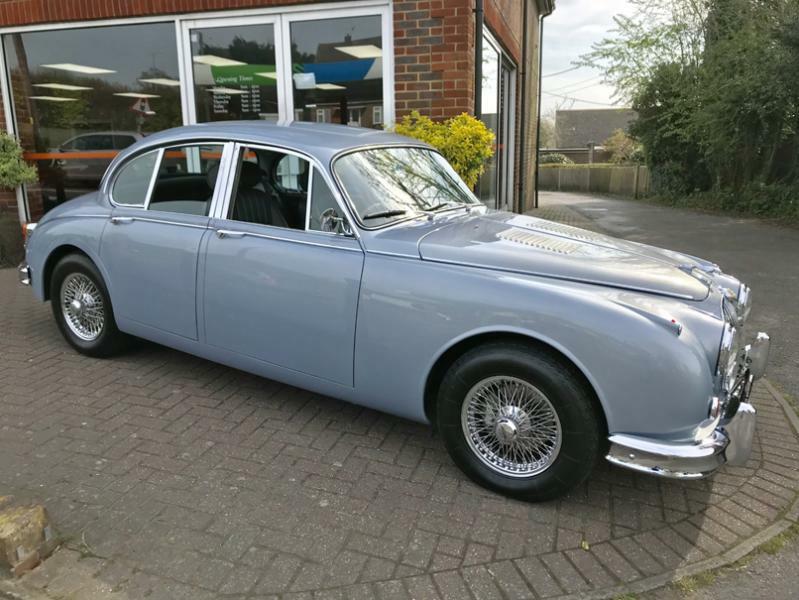 The economies of the new 240 and 340 models came at a cost - the leather upholstery was replaced by 'Ambla' leather-like material and slimmer, more economical front and rear bumpers were introduced. Other changes included the replacement of the front fog lamps with circular vents and optional fog lamps for the UK market. The sales price was reduced to compete with the Rover 2000 TC. The 240's performance was improved over the old 2.4 model by upgrading the 2.4's cylinder head and twin Solex carburettors to the straight port 'E-Type' head and twin SU carburettors. For the first time the 2.4 litre model could exceed 100 mph resulting in a slight sales resurgence. 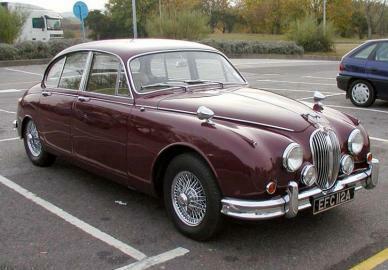 Jaguar replaced the 240 and 340 with the XJ6 in September 1968. 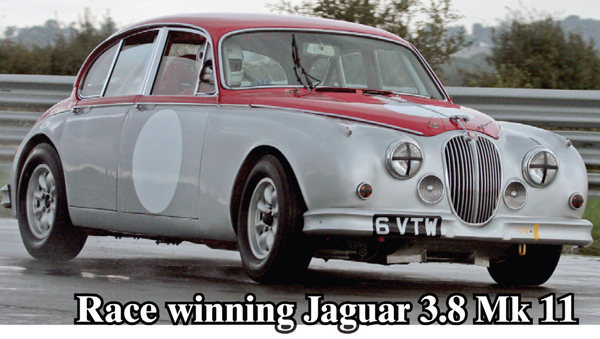 A 3.4 litre car with automatic transmission tested by The Motor magazine in 1961 had a top speed of 119.9 mph (193.0 km/h) and could accelerate from 0-60 mph (97 km/h) in 11.9 seconds. A touring fuel consumption of 19.0 miles per imperial gallon (14.9 L/100 km; 15.8 mpg-US) was recorded. The test car cost £1951 including taxes of £614. A 3.8 litre car with the 220 bhp engine was capable of accelerating from 0-60 mph (97 km/h) in 8.5 seconds and could reach a top speed of 125 mph (201 km/h). 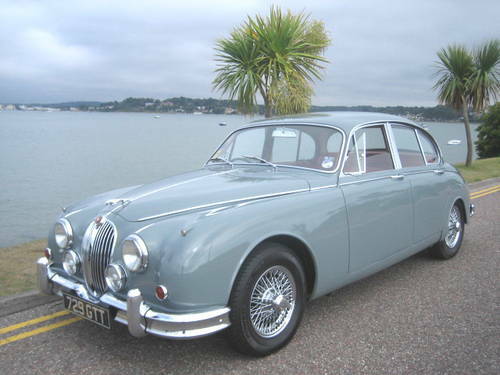 The Mark 2's body lines, derived from the Mark 1, and overall layout proved sufficiently popular over time to provide an inspiration for both the Jaguar S-Type introduced in 1999 and the smaller X-Type debuted in 2001.